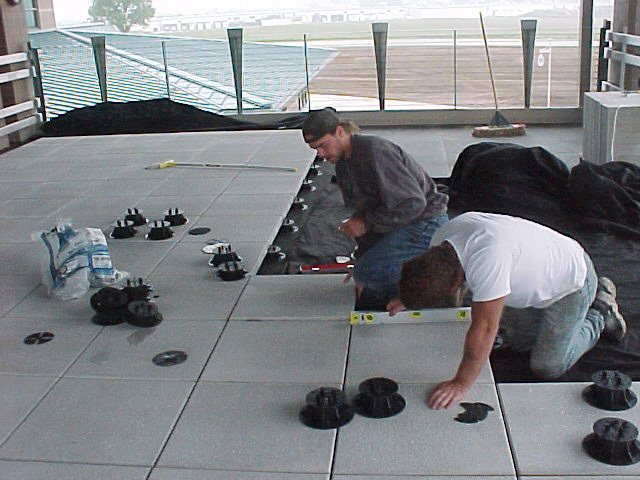 Dryspace has worked as a commercial, industrial, institutional roofing and waterproofing firm serving the Eastern Iowa community since 1972. Born as a branch office of an old line roofing company established in 1932 in Iowa Falls, Iowa, we established our own identity, became locally owned and changed our name in 1989 to better reflect what we do. Dryspace has the reputation as a problem solver in the industry. 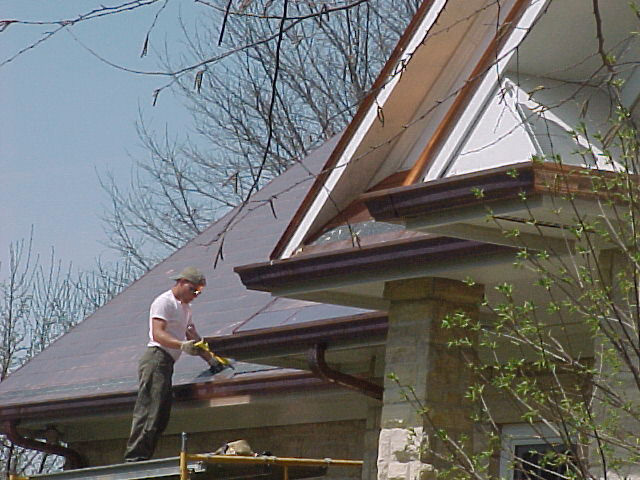 This pursuit of all things related to water entry led us to become more than a roofing company over the years. That pursuit allows our personnel the opportunity to use their vast knowledge of all facets of the building envelope to secure the interior environment of buildings. Allowing the comfort level our customers demand, simply said – Dry Space. No water intrusion possibility is overlooked in our pursuit of creating a watertight building envelope. We, the people that make up the Dryspace family come from a who’s who of the building trades, our young and old alike developed skills in almost every trade related to constructing a building before and or during their times with us. Just like higher education some of our people took their “sabbaticals” learning other trades before returning to the family. 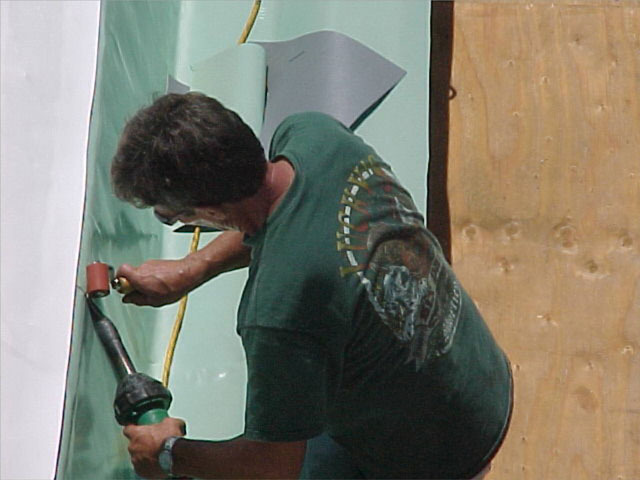 Our skill sets give us a unique ability to see what best practices can do for our end result whether it relates directly to roofing, waterproofing, or air barriers we install. Our workforce is uncommonly stable, consisting of brothers, fathers and sons, cousins, and childhood friends. The average person has been with Dryspace for more than twenty years making us an anomaly in the industry. We pride ourselves on our professionalism and never hire “part time or summer help” to get us through our busy times of the year. We only take on a workload that we can accomplish with the available trained long term employees that insures us of our “no call backs” policy. 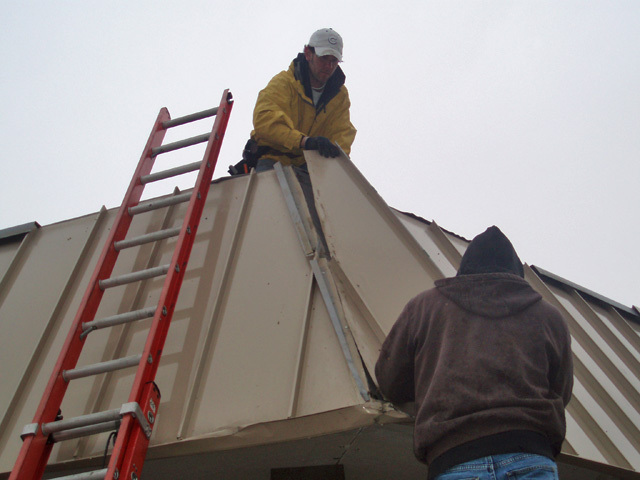 Our people are empowered to make decisions on the roof that are backed by management without question. We boast a safety record that is well above the industry average and back it up with a mod rate to proof it. 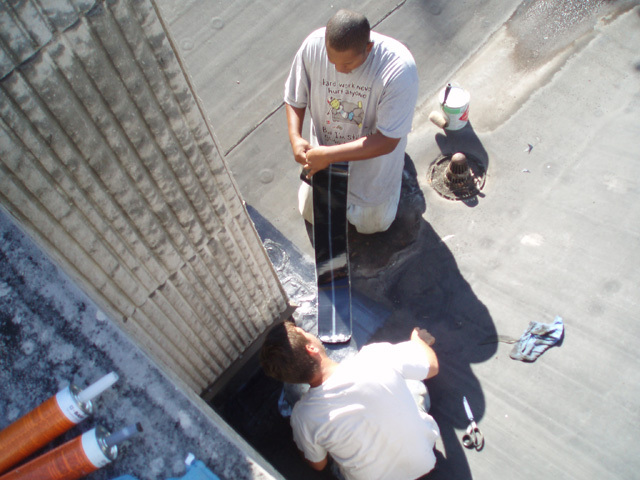 Our crews are highly trained in all aspects of almost every roofing and waterproofing system available today. 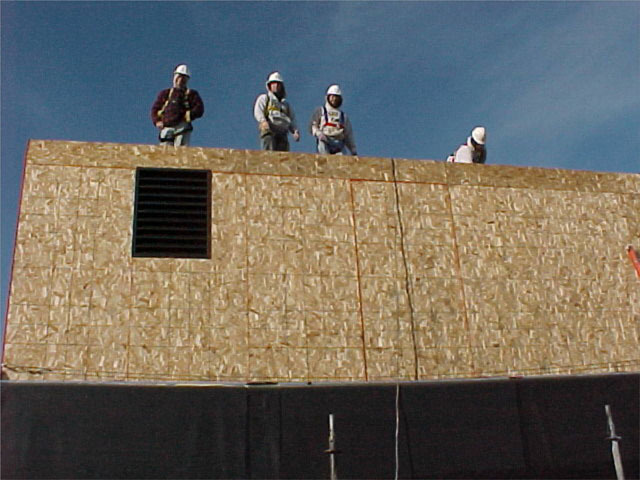 It takes each individual not only hours in the classroom but 7,000 hours of on the job training just to become a Journeyman in the roofing and waterproofing trade. 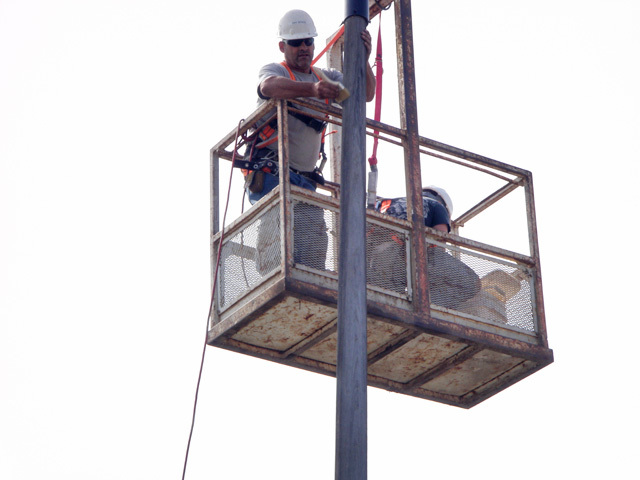 Whether it is up high in the air or underground our crews spend countless hours making sure our work is performed at the highest level of safety possible to insure we go home to our families each night is as good of shape as when we left for work. Working in small crews that have the advantage of years of experience together our teams understand that pride in our finished products is not just a company emotion but each project becomes a personal point of pride. Fathers and sons, brothers, cousins, and friends our crews know each other. Our people have the expertise and abilities to start and finish any project with the support of Dryspace management. The luxury of a workforce with an average experience of almost twenty years with Dryspace makes our projects run efficiently when problems arise. Our training never stops, whether it is in house training sessions as shown above to certify everyone to safely use an open flamed torch when called for, or our weekly in house safety programs. The training and safety of our people is paramount and our key to keeping a stable and healthy workforce. When a project is out of the ordinary and demands for some “out of the box” thinking we depend on our entire treasure trove of individuals for answers. Whether it is the newest member of our team or a veteran Dryspace member, all ideas and solutions are treated with equal consideration. We are a group of people that take great pride in what we do every day, as individuals we are fiercely independent, fun loving, and used to hard work to gain us the satisfaction of jobs well done and lives well lived. As the Dryspace family we work well as a team and will continue to work well as a team far into the future. 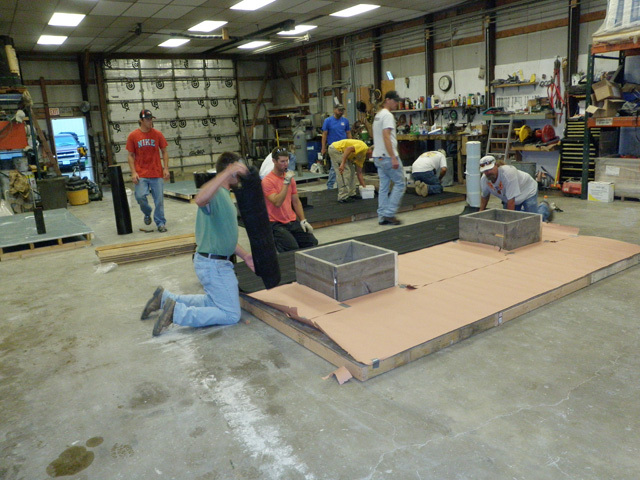 Every material we install is different and every manufacturer has a different method to install their materials. We train and retrain continually in each system to make sure we keep current with out industry’s ever changing technology. If it leaks water from any source in to any space… we have the materials, tools, experience, and drive to create the solution to water problems… that is what we do… create Dryspace.